Labour-intensive to grow, asparagus are the young shoots of a cultivated lily plant. They’re considered to be one of the delicacies of the vegetable world, with a price tag to match, and have a distinct, intense savoury flavour. Sprue is the term for young, very slender asparagus. 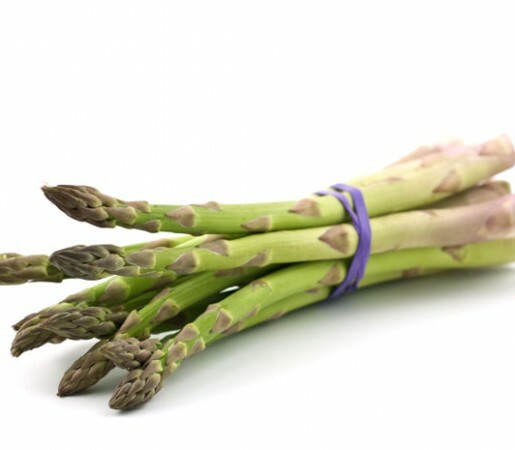 While French asparagus is purple, the British and American varieties are green. In contrast, Spanish and much Dutch asparagus is white, as it’s grown beneath the soil and cut just as the tips emerge. All types pack a nutritional punch, with high levels of vitamins A and C, potassium, iron and calcium, and they’re also diuretic, giving urine an unmistakable aroma (which, curiously, not everyone can smell! ).